When you begin considering graduate study, first find out as much as you can about the programs that interest you. Start out by learning the admissions process and deadlines, faculty research interests, required and recommended curriculum, the funding landscape, and what the experience of other students in the program has been like. In particular, exploring faculty research interests is key to deciding for yourself if UW–Madison is the right university for you, and it is important as you articulate to the program’s admissions committee why you are a good fit. Each graduate program has its own deadlines, admission committee, and recommendation process; direct any questions to the contact person listed on the program-specific information page. Although the Graduate School sets minimum requirements, other application requirements vary by program. Check out the links below to find out more about what you will need to apply. Choose up to three programs for one $75 application fee. Your materials will first be reviewed by your program’s admission committee and then by Graduate School Administration. Verify that your program offers admission for the intended term. To review the status of your submitted application, sign into MyUW with your netID. Any requests for information or changes in your status will be noted in MyUW. Recommendations are made by programs, and the Graduate School makes final admission decisions. Decisions can be viewed in MyUW online status check, where applicants accept or decline admission. You'll need to provide proof of sufficient funds to cover expenses completely. After financial documentation is approved by the Graduate School, admission is finalized and documents for your visa appointment are sent. For help with your application, first look through these frequently asked questions. If you have other questions or encounter any problems with your application, contact admissions at admissions@grad.wisc.edu. The application fee is $75 U.S. It is non-refundable and can be paid by credit card (MasterCard or Visa), Debit/ATM. In addition, non-US citizens will be charged a $6 international document processing fee. Application deadlines vary from program to program. Before starting your application, it is very important to check the deadlines on your academic program’s page. My program will not consider my application because the deadline has passed for that term. Can I get a refund? The application fee is non-refundable. Applicants should check program deadlines before applying. How do I add/change a program after submitting my application? You must fill out a new application and pay a new fee. How do I make updates or changes to my application after submission? There are only a few changes you are allowed to make. You can manage your recommenders, and update documents that you have already uploaded. You cannot add any new documents. This can be done through the applicant status check page. How do I update/correct my mailing or email address? Log into the MyUW portal. Enter your NetID and password (use the links underneath NetID and password if help is needed.) Click on the “Student Center” link. Click on the information you would like to change, and then edit. For assistance contact our Division of Information Technology (DoIT) at help@doit.wisc.edu. Also, please make your academic program aware of the change. Can I change the term that I originally applied for? You can change the term you wish to apply for by submitting a new application and fee. Can I apply to more than one program with one application and one fee? Yes, you can apply to three programs on one application with one fee. Will my transcripts that I send to the Graduate School be returned to me? All transcripts become property of the UW–Madison Graduate School, so they will not be returned to you. were impacted by a recent natural disaster or other urgent, unexpected life event that has impacted their ability to pay for the application fee. If any of the above criteria apply, please email feegrants@grad.wisc.edu. If you are an applicant who has been impacted by other natural disasters or life events please email graduateschooldean@grad.wisc.edu to inquire about possible application deadline extensions and/or possible fee grant support (to be reviewed and considered on a case by case basis). For instructions for applying for a fee waiver, click here. We are unable to offer fee grants to applicants for any other reason at this time. Occasionally, individual graduate programs offer fee waivers to particular applicants who do not meet the Graduate School’s criteria; interested applicants may contact their graduate program(s) of interest directly regarding this possibility. Students eligible for a Graduate School fee grant are encouraged to request a coupon code as early as possible, as many requests come in right before major deadlines. Requesting a fee grant at least 5 business days before your application deadline will guarantee that it will be reviewed in time for you to apply. Requests made on the day of your deadline are extremely unlikely to be approved in time for you to apply. Please note: the Wisconsin School of Business has its own criteria for granting fee waivers. For more information on those waivers, contact the admissions team for the program to which you are applying. Please visit the Business School’s contact page for email addresses and phone numbers. If you are interested in purchasing Fee Grant Coupons, download and complete the coupon code purchase form. Send the completed form to feegrants@grad.wisc.edu at least one week prior to when you will need the application fee grant codes. The submission of your application is a 2-step process. First, you get your submission confirmation. Within a few days you will receive an email with directions to activate your NetID through MyUW. It is very important that you set up your MyUW account to check your application status. If you have further questions, please contact admissions@grad.wisc.edu. Why doesn’t the status page list the application materials that I sent to my program? The program receives all of your materials and updates your status page. Contact your program directly. You can find the specific program contact information at the academic programs page. When will my test scores show up on my check list? Scores are typically sent to UW–Madison electronically within two weeks. Why aren’t my test scores showing up on my check list? If you did not use the same demographic information for both the application and the test, they will not match up. It is possible that you listed your name differently or the birthdate is incorrect. Contact your program for assistance. How much funding will I need to show to attend graduate school? See International Applicant Financial Information. I don’t have a transcript with a degree posted. When do I submit my final transcript? When you get your final transcript and certification of degree, you can mail it to our office, or you can bring it with you when you arrive on campus. An enrollment hold for your second semester will be in place until we receive your final official transcript and degree certification. If you need to keep your original documents, we will make copies for our files. Our office location is Room 232, Bascom Hall. I am an international applicant. Do I need to send my financial documents with my application materials? Do not send any financial documentation until requested to do so by the Graduate School. The request will be made on your online status page when your academic records are approved. I am an international student. When I check my status, a “hold” has been placed on my enrollment. What does this mean? When you were admitted to the UW–Madison Graduate School, some academic documents were missing. The “hold” prevents future enrollment but will not affect the term you were admitted. To remove this hold, you must present the documents that were requested in your online status check. If I take an English proficiency test, will I be required to take ESLAT? 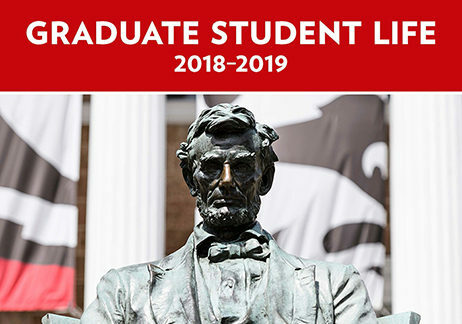 Any admitted student whose score is lower than the scores listed below will be required, by the Graduate School, to take the English as a Second Language Assessment Test upon arrival at UW–Madison. Depending on your test result you may be required to register for an English as a Second Language (ESL) course in your first semester. Academic Programs may ask any admitted graduate applicant to take the English Placement test and ESL course after he/she arrives if English proficiency is in doubt. For more information on English proficiency test requirements, click here. If I enroll in the English as a Second Language Program, am I guaranteed admission to the university? Enrollment in the English as a Second Language program (ESL) does not ensure admission to a graduate program at UW–Madison. You will not be able to register for courses outside the ESL curriculum during your enrollment in ESL. If I take English as a Second Language, will I be required to take TOEFL? If you are not a native English speaker, or your undergraduate institution’s language of instruction is not exclusively English, an English proficiency test (TOEFL or IELTS) is required. All electronic test scores should be sent to institution code 1846. IELTS scores can be mailed or submitted electronically. Why do I have to show a permanent home address? In order for an I-20 or DS-2019 to be printed, the SEVIS system requires that you list a permanent address in your home country. It must be a residence address. No post office box numbers, businesses or university addresses are allowed. Does the UW–Madison Graduate School offer “conditional admission”? UW–Madison does not offer conditional admission. All students must apply through the Graduate School website. Programs are the main source for funding. Fill out the funding section of the online application. If you are interested in a Fellowship, Project/Program, Research, or Teaching Assistantship, contact your academic program. Financial Aid: Loans and Work Study are available to U.S. citizens or permanent residents. Check the loans/work study box in the application information section to receive information from the UW–Madison Office of Student Financial Aid. How much is tuition for the UW–Madison Graduate School? Tuition rates for the current term are located on the Registrar’s website. Tuition costs for future terms may not be available. All letters of recommendation are submitted electronically through the admission application. Can I request recommendations before I submit my application? You may send the request to your recommenders at any time during the application process. The recommendation section of the application remains accessible after you submit your application. What happens to the recommendations if they are completed before I submit my application? All recommendations are attached to your application. My recommender has not responded. Can I send them another request? Yes. To send another request to your recommender, you should go back into the recommendation section of your application and click the “Send Reminder” button. An email should be sent within 24 hours. You should contact your recommender to let them know to watch for the new message to arrive. What if my letters of recommendation are stored at a file service (a career service center) and are sent out by request? These services cannot be used with our online recommendation system. You may contact your academic program to inquire if this method is acceptable. Can the recommendations be sent by paper or PDF file? Recommendations are done through our online application. Am I eligible for consideration if my GPA is less than 3.0? Your program may choose to consider your application if you have less than a 3.0 GPA on the last 60 credit hours of your bachelor’s degree. Contact your program directly. How do I accept or decline the admission offer from my program? You can choose to accept or decline admission through the Online Status Check. If you decline, there are a few simple questions to answer. When do I enroll for classes? Newly admitted graduate students will receive an invitation to enroll through MyUW from Enrollment Services approximately six weeks prior to the start of classes. There are resources available to help you fund your education. You may be offered a teaching, project, or research assistantship; fellowship; or traineeship that will help defray some or all of your expenses. Assistantships or fellowships may provide tuition remission in addition to a monthly stipend and health insurance. Assistantships are offered by programs only, not through the Graduate School. Be sure to ask about the funding landscape in your intended program. Program data available through the Graduate School will tell you the percent of students in the program are supported and the types of support they receive. Tuition cost and segregated fee information is available at the Office of the Registrar’s website. 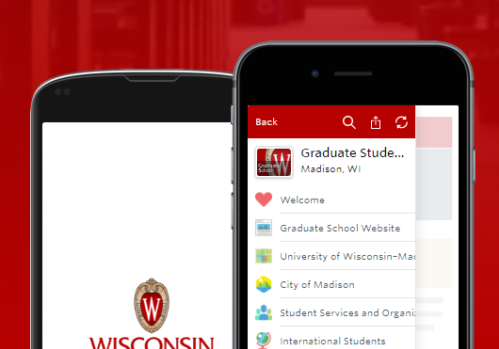 onboarding messages and publications to help you get settled in to your new role as a UW–Madison graduate student. Visit our New Students page for details. This publication covers campus area housing, where to shop for food and necessities, what to do on your occasional night out, resources for graduate students with children, tips for staying healthy while you’re on campus, and much more. Note: The 2018 Annual Security Report and Annual Fire Safety Report contains current campus safety and disciplinary policies, crime statistics for the previous three calendar years, and on-campus student housing fire safety policies and fire statistics for the previous three calendar years. UW–Madison will provide a paper copy upon request; please contact the University of Wisconsin Police Department at uwpolice@mhub.uwpd.wisc.edu or 1429 Monroe St., Madison, WI.